There are lots of things to do in and around Estes Park, Colorado. 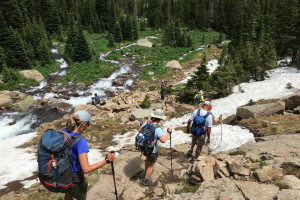 The small mountain town is located conveniently close to Rocky Mountain National Park, so any type of outdoor activity is readily available. In addition, the town itself is home to theaters, pubs, restaurants, and art centers. Boulder Ballet is a local ballet dance group that performs in Boulder on a regular basis. The Muse Gallery is an association of artist members, displaying art works in downtown Longmont.